It’s all about energy use. The amount of electricity used for home and commercial purposes drives demand for energy. An increasing demand for energy puts pressure on producers to use more fuels such as oil, natural gas, coal, nuclear power and even wood, all of which can generate dangerous levels of soot when burned to create electrical power. Burning fuels of nearly any kind produces unwanted byproducts that can become dangerous pollutants in sufficient levels in the atmosphere. One of the most troublesome byproducts of burning coal, oil or wood is a pollutant we label “soot,” which can greatly increase the toxic impact of polluted air for people at respiratory risk. 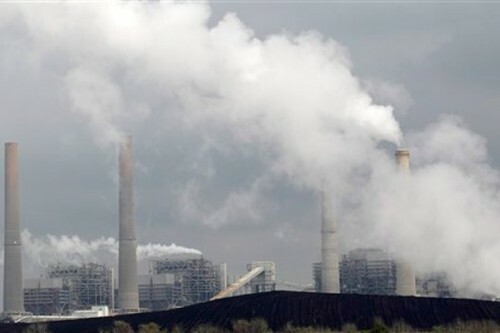 A December 14, 2012 Reuters 3 news story, published by the Chicago Tribune, notes that the Obama administration signed into law tightened limits on harmful soot pollution. The new regulations call for soot emission levels to be reduced in the atmosphere, from a current standard of 15 micrograms set in 1997 to a new standard of 12 micrograms per cubic centimeters, by the end of the decade (2020). One of the key issues driving the debate over tolerable levels of soot pollution are the health risks generated by soot, especially among people with asthma and allergies. The companion concern over soot pollution is controlling the level of “fine particulates,” a form of soot and pollution that can sink deep into the lungs causing breathing difficulties, worsened heart conditions, acute bronchitis and asthma attacks. Threats about the costs of implementing the new soot pollution standards are being balanced against the costs of protecting human lives. The December 14 Reuters article shares EPA estimates that by 2030 the new soot rules would prevent up to 40,000 premature deaths and that health care bills would be cut by $4 billion to $9 billion annually. Perhaps it is only coincidence that Inhofe and Landrieu both represent states with industries deeply vested in fossil fuel extraction and refining. The EPA has decided to side with experts citing the genuine reality of health concerns generated by industrial pollutants and soot. People who live where industrial pollution is unmitigated take a gamble every day of their lives if they are predisposed to asthma or other respiratory illnesses. In the past decade, the health message and cost to human life from the effects of soot has gotten buried under political speculation about economic impacts that will befall supposedly befall industries and manufacturers if they are forced to cut down their soot emissions and pollution. Industries are sometimes fond of saying that meeting environmental safety and efficiency measures cannot be done due to the costs of implementing new technology. Yet even though auto manufacturers protested loudly when the Obama administration told them to raise the average fuel economy of the vehicles they produce, the auto industry has increased to EPA demands that the average fuel economies be increased across entire fleets of vehicles. According to the Detroit Bureau4, the average fuel economy for American-made vehicles in 2012 has risen by 14% better than just 4 years ago when President Obama took office. American auto manufacturers such as Chrysler, Ford and Chevrolet are all showing profits. Auto emissions, especially among diesel trucks, are subject to require decreases in the emission of soot as regulated under the newly established EPA standards. Alllergy and asthma sufferers are thus seeing signs that their political representatives and the EPA are capable of adapting a more prudent plan to protect clean air and human health.